What They Say....Maria and Joe have saved every available penny to give their daughters Kate and Sarah the best education possible, which to them means attending the most exclusive girls school in the state. 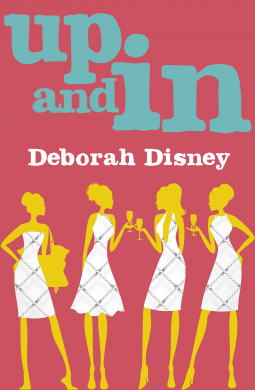 But when Kate befriends the spoilt and moody Mirabella, Maria finds herself thrust into a high society of champagne-swilling mother-istas she hasn't budgeted for. Saturday morning netball is no longer a fun mother-daughter outing, but a minefield of social politics. What I Say....Ugh. I've known women like the bea's. They are the moms that can make a little girl's sporting event feel like you've taken a time machine back to junior high school. Only now they have sharper weapons, and when you feel like your children are being hurt, you become even more sensitive. Take Maria, for example. She spends the first chapter poring over a group email, scouring every response looking for an insult, despairing that the other mother's don't sign x (the electronic kiss indicates your social standing) after their name when communicating with her, and trying to read between the lines as to who is friend or foe (hint, they are almost all foes). Let me preface this by saying that I don't like to get into the Mommy wars, I think stay at home moms have it rough and I think working moms have it rough. They have so much in common, but they also face different challenges. However, having been in both roles, I can say that this book definitely brought back some bad memories of my time at home. I think when you are at home all day, you just have more time to get emotionally invested in these types of relationships (a strong parallel to office relationships and the politics that happen in the workplace). Once you are working full time and trying to keep up with the kid's activiites and home life, you really don't notice these type of women anymore, their barbs either go right over your head, or you find yourself snapping back because you don't really care what they think, because can't they see how TIRED you are????? I did find it interesting that the only character that stayed neutral and friendly with everyone, was Nicole, the hairdresser who worked full time. Okay, I got off topic, but I think it's the mark of really good book that it made me think through the issues that all mommies face. I liked Maria and her funny family, but by mid-book, I was getting really irritated with her for being so wishy-washy. She hated the way the bea's treated her daughter, but she kept hanging around, setting herself up for more poor treatment. But she didn't hang around as a syncophant, she wouldn't kiss up to Bea, but she wouldn't stand up for herself either. I wanted to shake her and tell her to either grow a pair, and tell them to get lost or just buy the damn hair ties! Take your daughter out of that snobby school and stop signing up for every after school activity that these beyotches take their kids to, or plaster a big fake smile on her face and play the game. But Maria was half in and half out throughout the book. Her husband is telling her that he is miserable in his job, and unhappy with the direction of his future, and her only thought is that if he quits his job, how will they pay for Riverton? At that point, it seemed like Maria was the only one who cared about the school, it certainly wasn't doing anything for the rest of the family. At the end, you see a few of the bea's get their comeuppance, but even then, Maria continues her pattern of one foot in, one foot out. She wracks her brain to think of the perfect text to send to the woman who's life is falling apart, the same woman who has done nothing but try to make her own life miserable. That was my only real complaint - I wanted Maria to get her head on straight and teach her kids what really matters. But even though she could do that when they were alone, she wasn't able to do it in front of the snobs, where the lesson would have really stuck. Thank you, Net Galley and Harper Collins, for giving me this ARC in exchange for an honest review. This was a 4/5 star read.